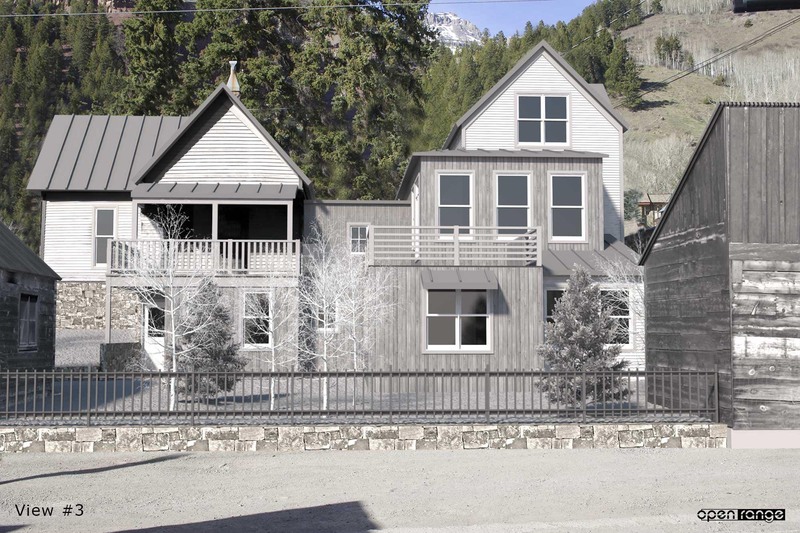 I provided renderings for an interesting and somewhat controversial project in Telluride. 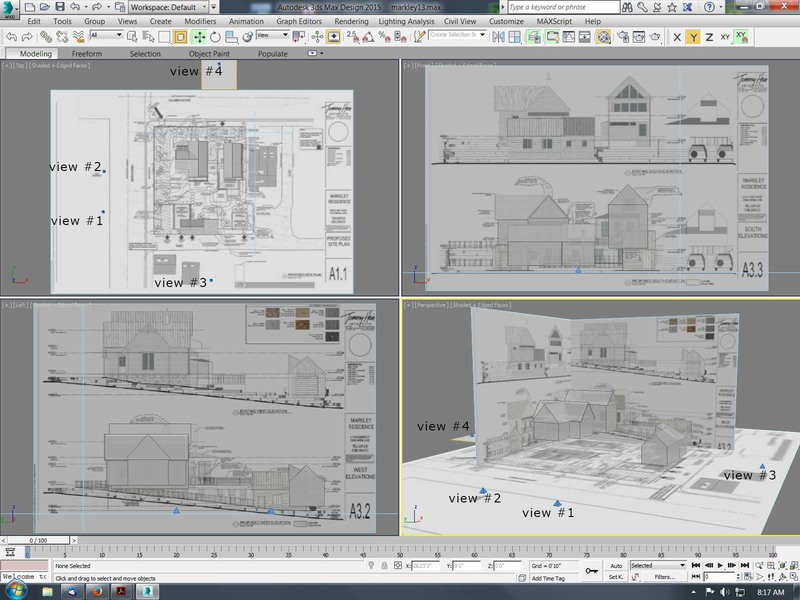 I was retained to provide visualizations for a team working on behalf of a concerned neighboring property owner. The renderings were presented at the Historic Architectural Review Commission (HARC) April 2015 public meeting. 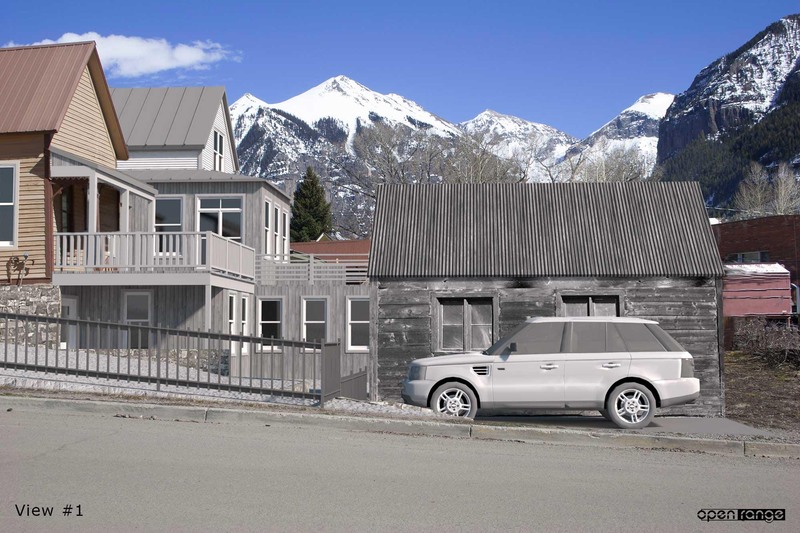 The renderings show how the proposed additions and development of the historic property would appear per the project architects submitted plans. 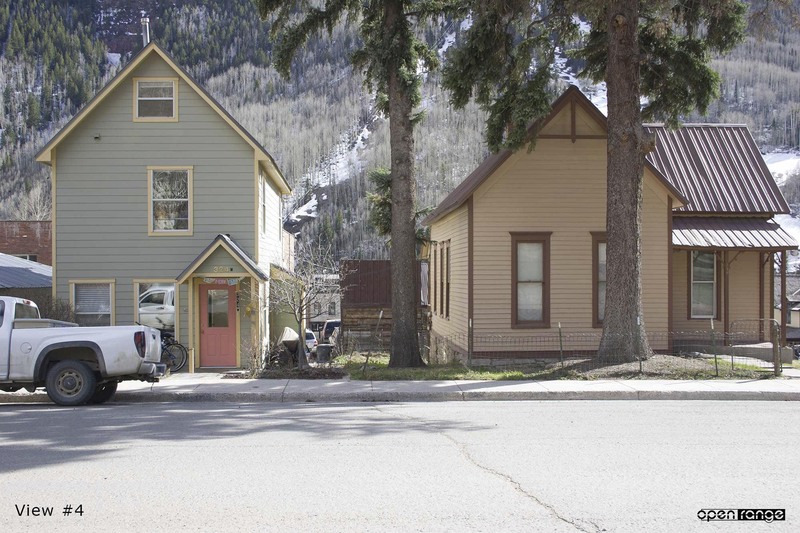 The property is of uniquely valuable and intact historic significance. 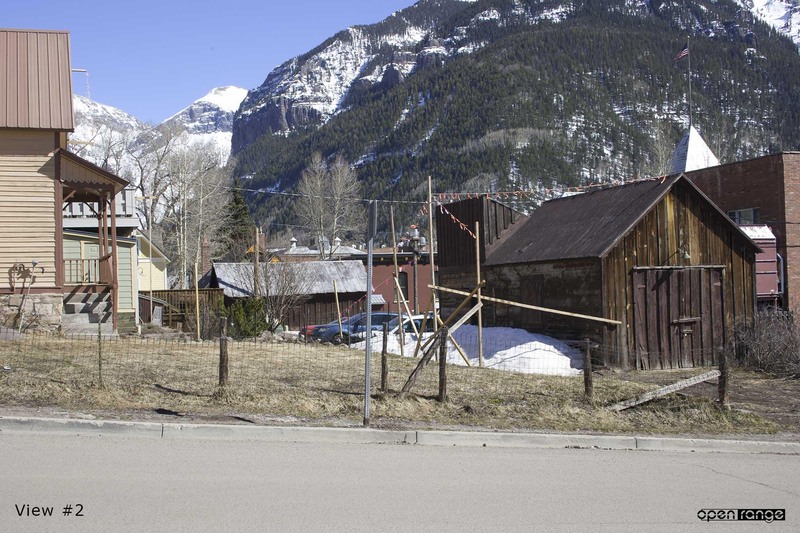 It is one of only several properties in the Telluride National Historic Landmark – Historic District that are eligible to be awarded Landmark status, the highest and most significant historic designation possible. I have prepared the renderings based on the available plans. All effort was made to match the plans as accurately as possible. No effort was made to present or produce the renderings to be skewed either for or against the proposed project. All effort was made to provide renderings that accurately represent the available plans as best as possible. I utilized Autodesk 3D Studio Max Design 2015 to produce the renderings. 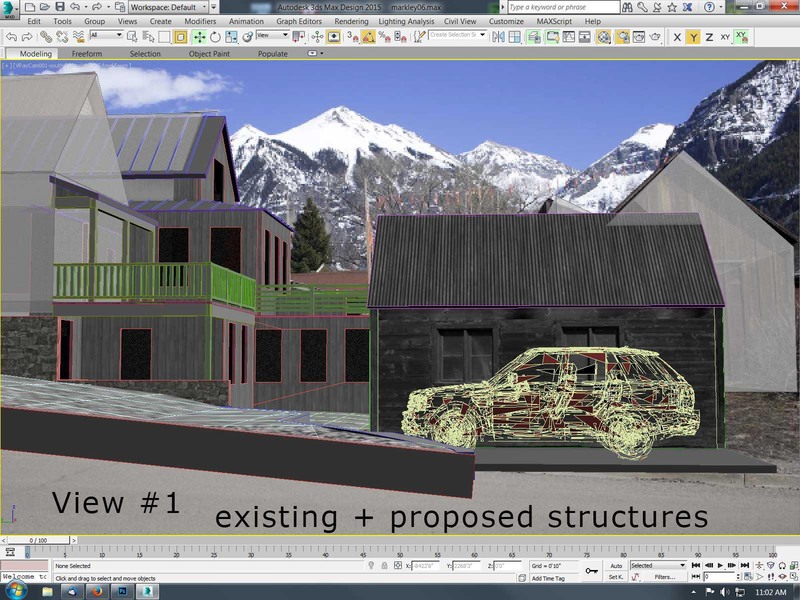 Autodesk is the industry standard CAD software producer with 85% of the CAD market world wide. 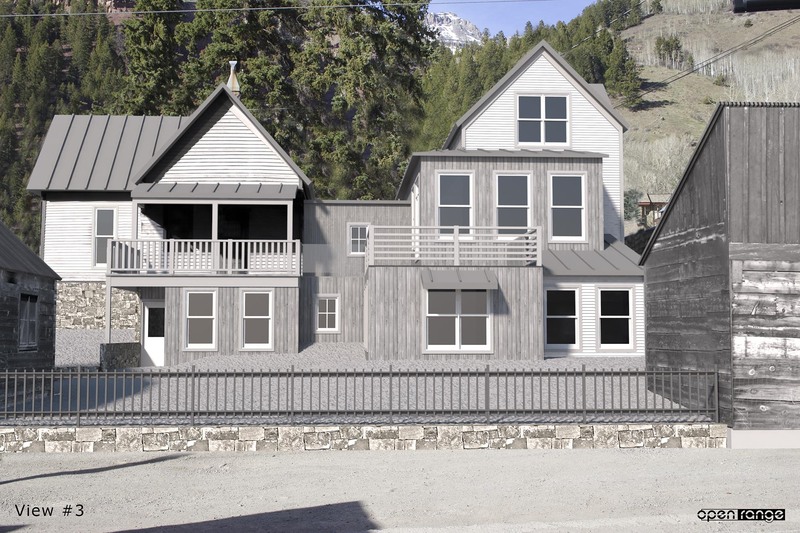 As the basis for my work I typically import AutoCAD drawings, Revit models Sketchup models and any other CAD based files that are made available for a project. If CAD files are not available I import printed drawings in PDF form. Since CAD files were not made available, I used the HARC submital PDF drawings as the basis for these renderings. 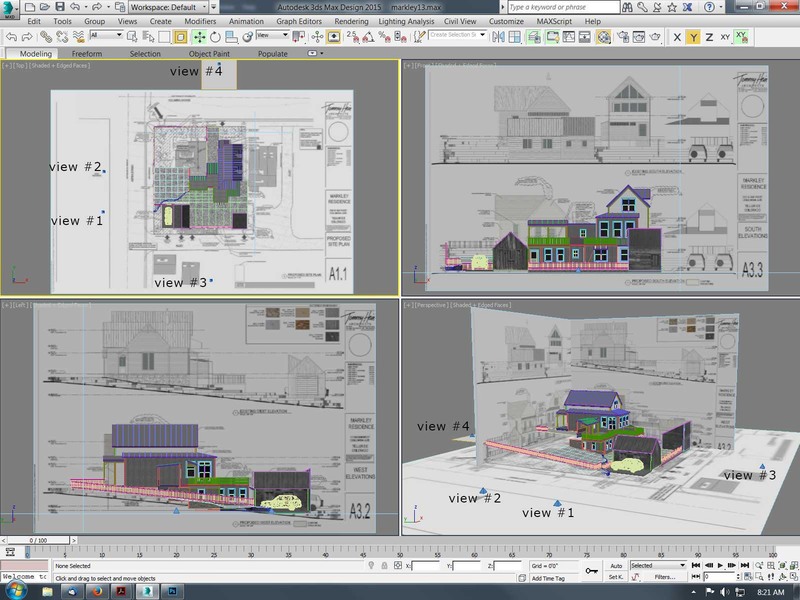 The architectural PDF plans are imported into the CAD software (3D Studio Max Design 2015). The plans are sized so they match the real world dimensions shown on the plans. The imported plan and elevation drawings are used as templates and the existing structures and the proposed construction are modeled to match the plans. I photographed the site from specified locations view 1, 2, 3 and 4. I use a specific camera lens focal length. 43mm is most like human magnification. Objects appear the same size and distance looking thru the camera lens as they do to the naked eye. 5 mm either side of 43 mm is the acceptable range. Wider angle or more zoom causes change of perception of size and distance. I survey my photo locations and elevations and enter those into 3D Studio. I create a virtual camera that matches the position , elevation and focal length used to take the photograph. 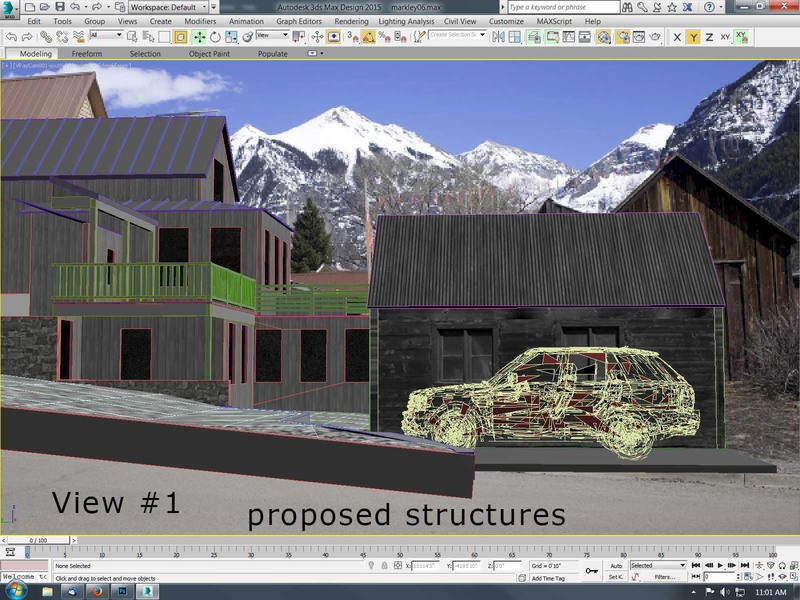 If the models of the existing reference structures correctly align with their respective locations in the photograph that verifies the perspective match. 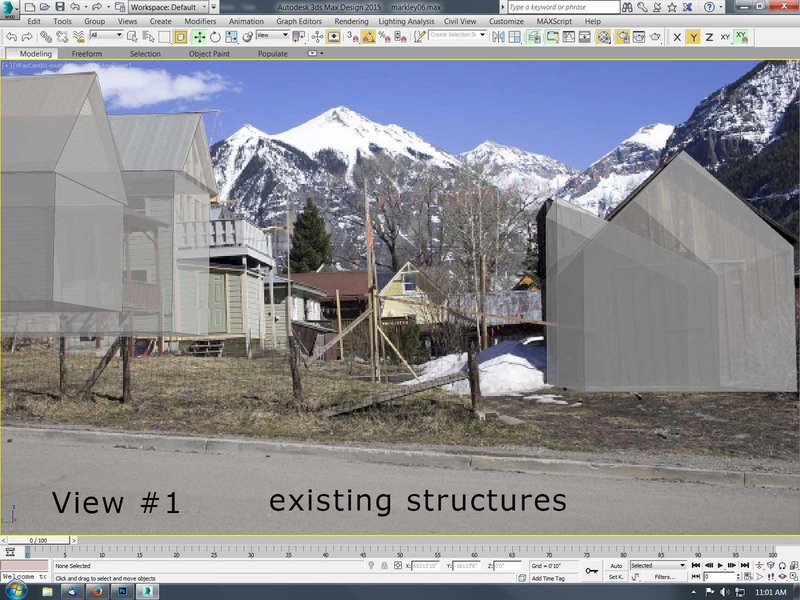 Existing structures are modeled to match plans. 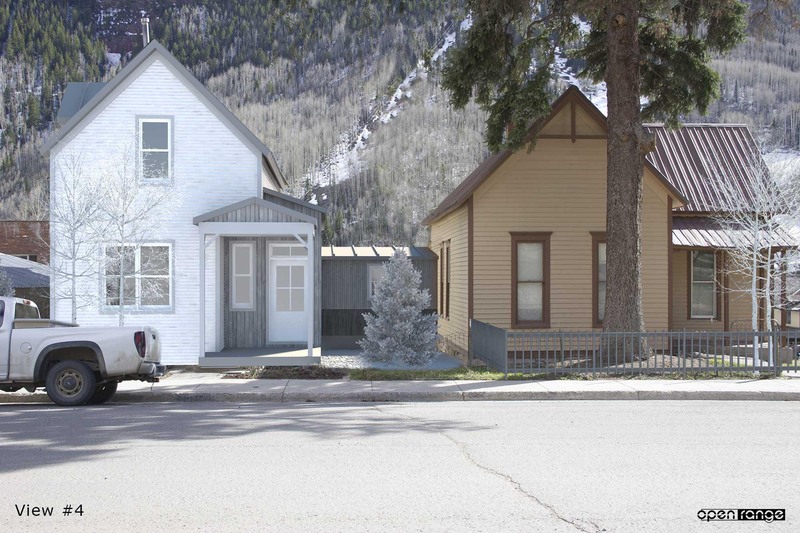 Proposed architectural elements are modeled to match plans. View point #1 with existing structures and proposed elements. View point #1 with proposed architectural elements correctly matched in to photograph. I provided renderings from 4 different view points and included a series of 3 images for each viewpoint. 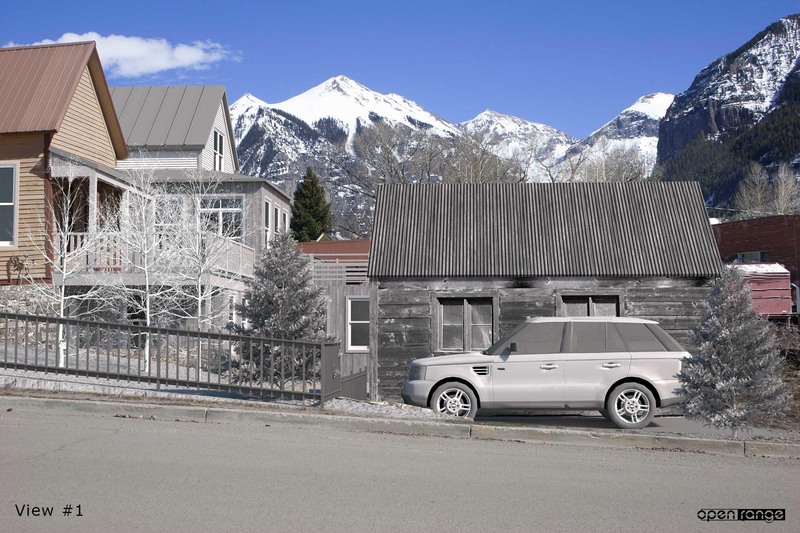 Original photograph, photograph with proposed architectural development and an image that included the proposed trees to be added. Finally I provided an alternate version of View #1 and View #2 that showed the effect of not rotating one of the existing historic sheds. These alternate views were suggested and presented by Mr. Nore Winter – Winter and Associates. 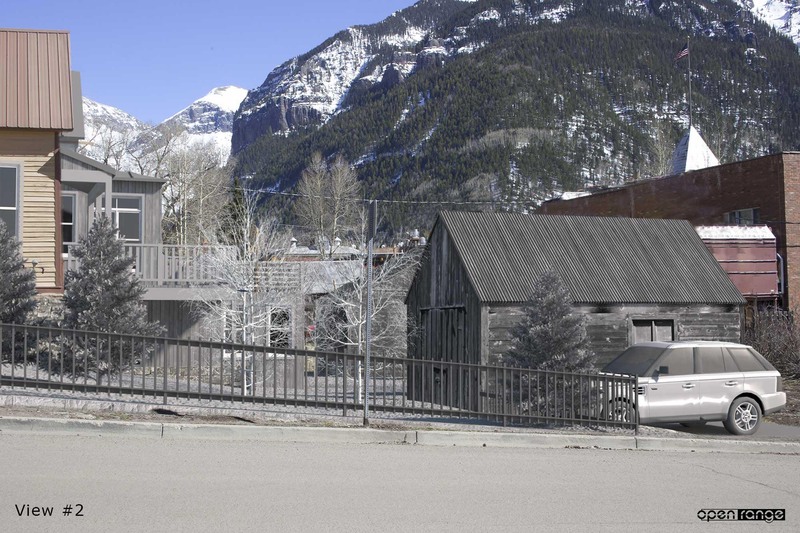 Mr Winter was part of the team that also included HARC Board Member and Architect – Sherri Lynch and Former Town of Telluride Attorney and practicing Land Use Attorney – Steve Johnson. Mr Winter is the preeminent authority and expert on Historic Architectural Preservation. Mr Winter and his firm have provided the Historic Design Guidelines for more than 100 Historic Districts in the US. 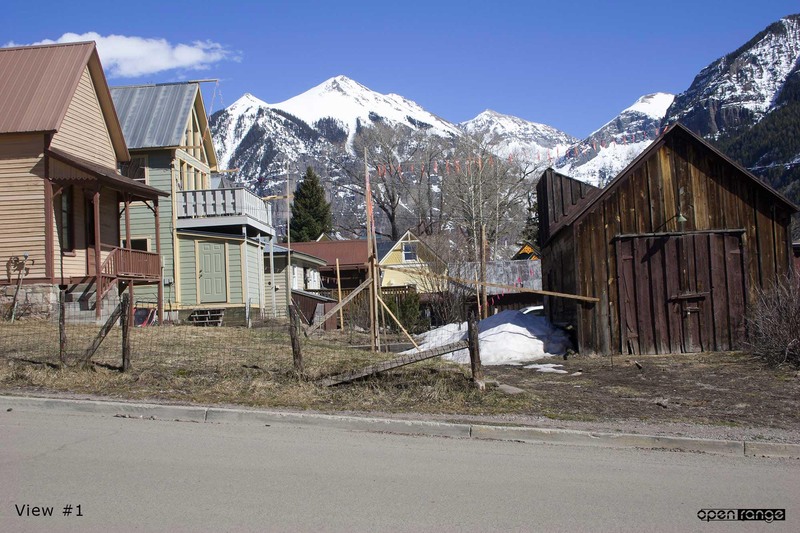 Among those are Boston, Philidelphia, Memphis, Austin, Los Angeles, San Francisco and virtually all of the historic mining towns in the mountain west. 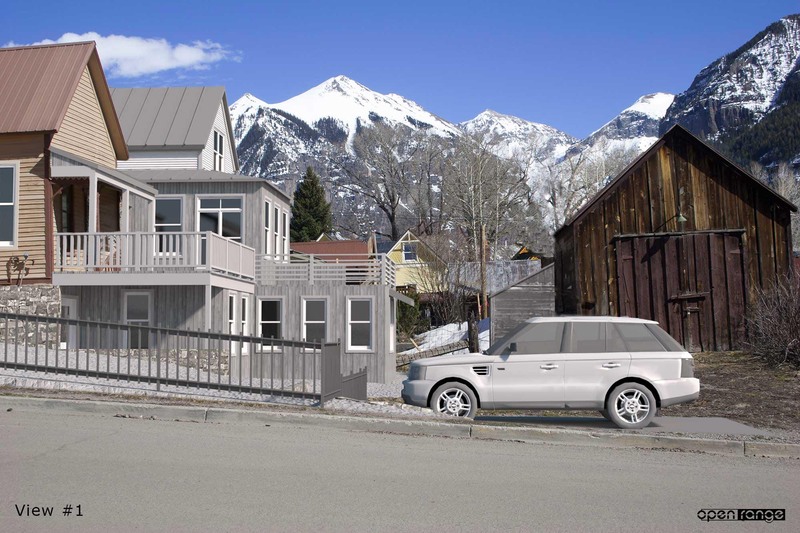 Mr Winter authored the Historic Architectural Design Guidelines that the Telluride HARC board and process are supposed to adhere to. The renderings were projected at the HARC meeting and used to bring several key issues before the board. Mr Winter explained of the importance of preserving the pedestrian experience regarding view corridor and the renderings dramatically illustrated this. 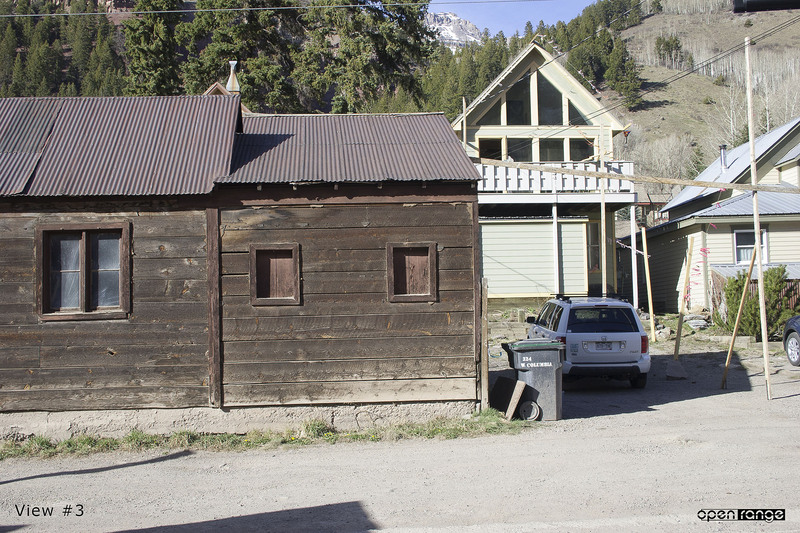 As a result, the HARC board required that the historic shed be left in it’s current orientation and not rotated as proposed. The number of trees to be planted was also significantly reduced and lower level shrubs were to be used in the critical view corridor areas. The renderings served to illustrate another larger point being made by the team. The proposed plan was to vacate lot lines to create a larger 3 lot site and combine 2 house into one that spans across the vacated lot line. 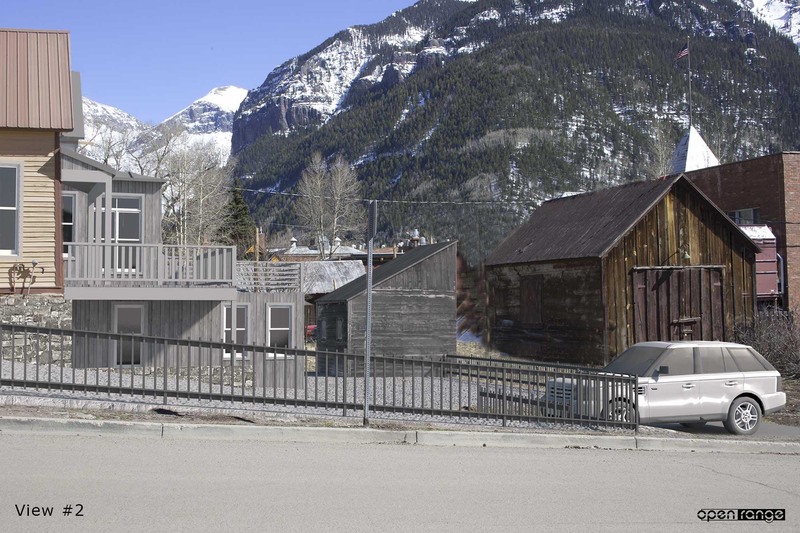 The team argued that this does not conform, as required, with the historic pattern of residential development in Telluride. The large exposed basement level with patio above that connects the two homes resulted in too much mass and significantly compromised the context of the existing historic home. The HARC board mandated that the basement mass and patios be reduced by 25%. 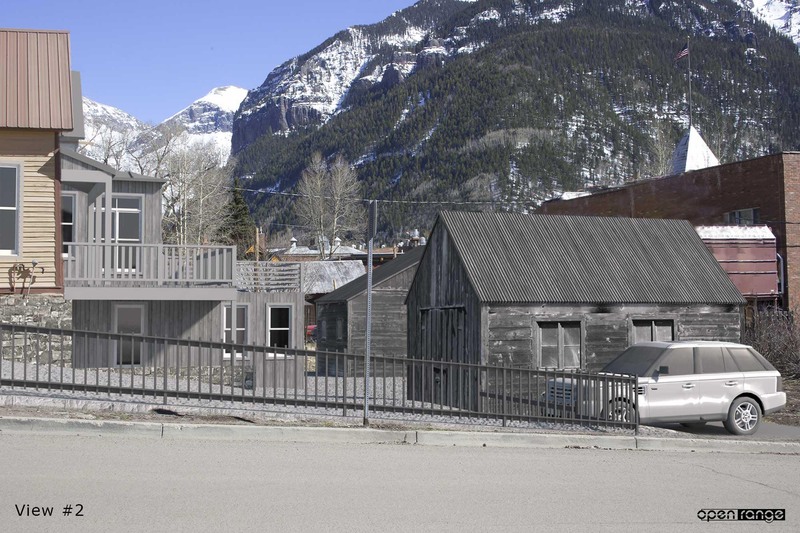 Despite the conditions imposed by the HARC board, the project has been called up for special review by the Telluride Town Council. Nice work, Mark. What was the disposition? The project was approved with conditions that all of the recommendations depicted in the renderings were incorporated. It took a lot of effort and expense but the project was considerably improved. By insisting on rigorous adherence to the published Historic Design Guidelines the project was made to better respect it’s status as an important part of the national historic landmark district.